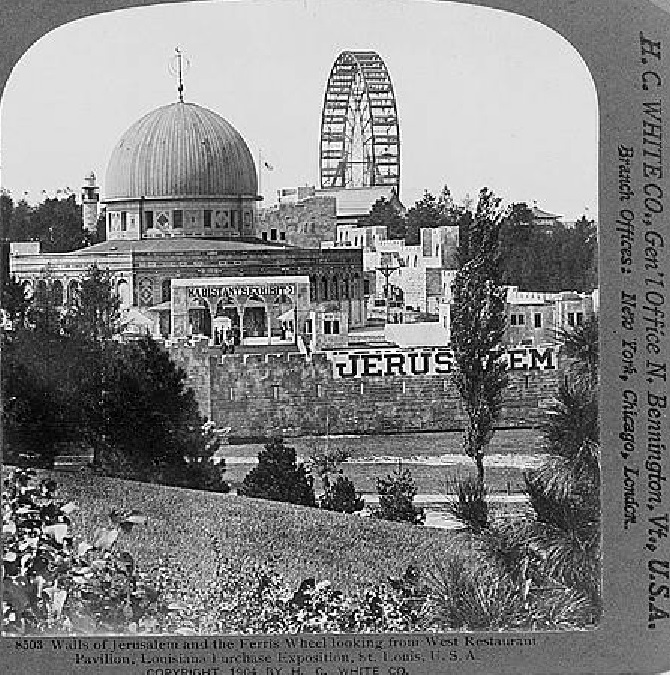 As American interest in the Holy Land grew in the second half of the 19th Century, entrepreneurs and Bible scholars attempted to "re-create" the wondrously exotic land of the Bible in the United States. A huge scale model of the Holy Land from Mount Hebron to Be'er Sheba was constructed as "Palestine Park" in Lake Chautauqua, NY in 1874. 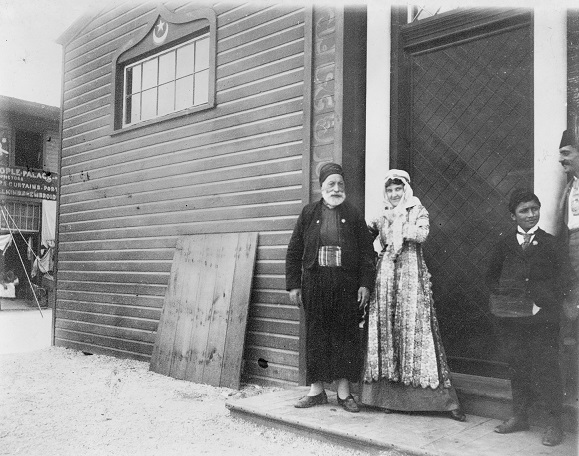 A Middle East Pavilion was built in the 1893 World Exposition in Chicago. And the Old City of Jerusalem was recreated at the 1904 Louisiana Purchase World's Fair in St. Louis. Mark Twain's account of his 1867 visit to the Middle East in "Innocents Abroad" launched his career as America's foremost storyteller. In his book he dubbed his quirky Turkish dragoman (guide) "Far-Away Moses" and elevated him to a legendary figure. 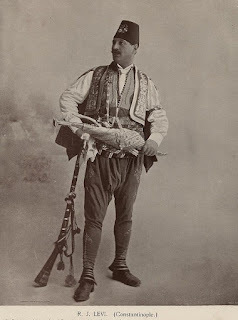 In 1870, Twain reported to his publisher, "I learn from Constantinople that the celebrated guide, 'Far-Away Moses' goes to the American Consulate & borrows my book to read the chapter about himself to English & Americans, & he sends me a beseeching request that I will forward a copy of that chapter to him -- he don't want (sic) the whole book, but only just that to use as an advertisement...."
The advertising campaign for the 1893 Chicago pavilion was not very successful: "Life in the Holy Lands! Scenes from Biblical Days!!! The Historic East as It Is and Was!!! A Moral Show!!!" Crowds were not attracted, wrote researcher Barabara Kirshenblatt-Gimblett in Jews and the Holy Land at World's Fairs, until the Turkish proprietor changed the campaign to "Life in the Harem!! Dreamy Scenes in the Orient!!! Eastern Dances!!! The Sultan's Diversions." Kirshenblatt-Gimblett added, "The proprietor in the doorway and belly dancer on the placard [outside] were in all likelihood Jewish. 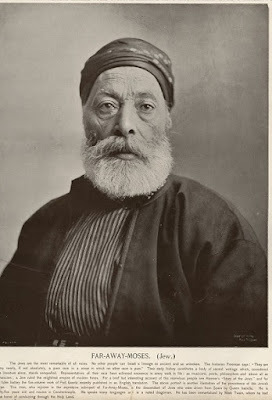 According to other sources, one of the proprietors was none other than Far-Away Moses, apparently also known as Harry R. Mandil, an American citizen. 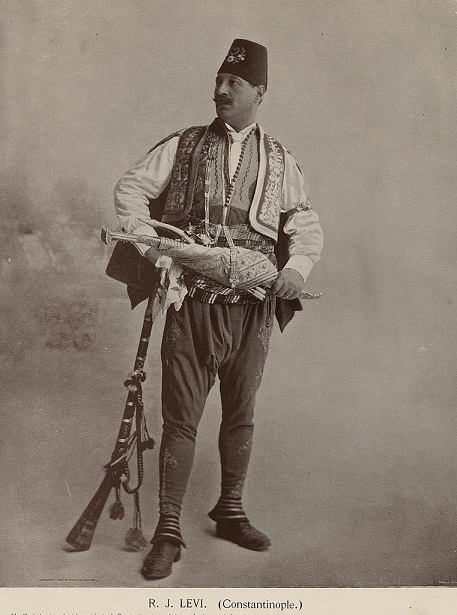 Another partner was R.J. Levi (pictured), identified as a "Jewish chef and caterer from Constantinople [who] was manager and chief proprietor of the Turkish Village and Theatre." Click on pictures to enlarge. Click on captions to view the original. Future presentations: The 1904 St. Louis Fair and "Palestine Park" in Chautauqua. At a recent Ladino weekend at the National Yiddish Book Center, Prof Devin Naar of Univ of Washington mentioned that the Turkish delegation to the Columbian Exposition was mostly Jews. It may be of interest that Barbara Kirshenblatt-Gimblett was an authority on Yiddish as her first area of expertise.